Janaki was amazed at the sight of the Vanaras and others, as well as the way in which they were decorated and dressed up. Just then, Valmiki the Sage reached the place, evidently overcome with anxiety. He described all that had happened before Sita. He loosened the bonds on Hanuman, Jambavan and others and bewailed, "Boys! What is this you have done? You have come here after felling to the ground Rama, Lakshmana, Bharatha and Satrughna." Sita was shocked at this. She said, "Alas! Dear children! On account of you, the dynasty itself has been tarnished. Don't delay further. Prepare for my sathi, that I may ascend the same. I cannot live hereafter." Sita pleaded for quick action. The Sage Valmiki consoled her and imparted some courage. Then, he went with Kusa and Lava to the battlefield and he was amazed at what he saw there. He recognized the chariot and the horses of Rama and finding Rama, he fell at his feet. Rama rose in a trice and sat up. Kusa and Lava were standing opposite to him. Valmiki addressed Rama thus: "Lord! My life has attained fulfillment. O, how blessed am I!" Then, he described how Lakshmana had left Sita alone in the forest, and how Sita lived in his hermitage, where Kusa and Lava were born. He said, "Lord! Kusa and Lava are your sons. May the Five Elements be my witness, I declare that Kusa and Lava are your sons." Hearing these words, Rama embraced the boys and stroked their heads. Through the Grace of Rama, the fallen Vanaras and warriors rose alive. Lakshmana, Bharatha and Satrughna caressed and fondled the boys. Lakshmana hurried to where Sita was, for, Rama directed him to find out from her what she proposed to do about her "vow". Nearing her, Lakshmana fell at her feet. Sita was desirous of fulfilling the "vow" if that was the wish of Rama; so, she accompanied Lakshmana to the presence of Rama. Seeing the group she made this pronouncement as the Truth: "O Gods! O Elements Five! I have not dwelt even in my dream on anyone other than Rama, in mind, speech, body or deed. O Mother! Goddess Earth! Take me into yourself". Immediately, the Earth sundered where she stood, with a great rumbling and from the trench so formed, there arose a Divine Lion-Throne, with the Goddess Earth seated therein. 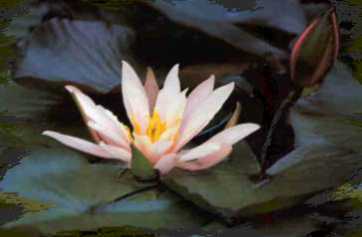 As She came to the surface, She held out Her Hand, and lifting Janaki from the ground, She blessed her thus. "O Janaki! From birth until today, no day passed without your sorrowing therein. You streamed tears always. Come in my Home, be happy". The next second, they were both out of sight. Her glory spread over the three worlds. This was clearly seen by Lakshmana and others. They shed tears. 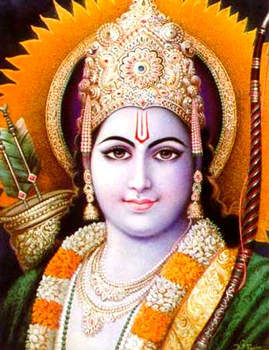 Rama acted the role of a saddened person. He thought within himself. "Janaki has gone in consonance with the inclinations of my mind. She was always moving in accordance with the plans I had in mind. 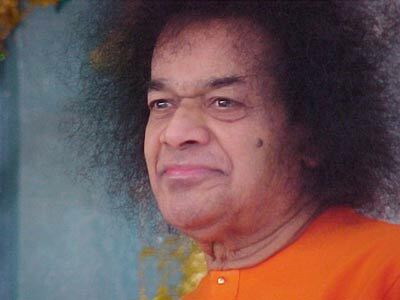 Now, we should also proceed to our Vaikunta residence." But, to others, he appeared sad and grieving a little. Soon, he left for the Capital City with his brothers and sons. He performed the concluding rites of the Yaga as planned. He gave away in charity the sixteen prescribed gifts in quantities that were beyond description. Rama honored Emperor Janaka as befitted his status and took the sons to his presence. He was immensely delighted when he saw his grandsons. Since Janaka was replete with wisdom, and since he was aware through his divine insight of the Divinity of Sita, he did not exhibit any surprise or wonder, anxiety or worry, over what had happened; his mind was unaffected because he knew that what had to happen had happened. His attitude was also not affected to the slightest extent by the incidents that took place. Janaka left for Mithila City filled with unbounded joy. The Gurus and the Brahmins came into the presence of Rama, according to the message sent by Him. And, they took leave of Him, happy that they were enabled to witness the great Yaga; they returned to their homes fully content. Thereafter, calling the sons to his side, Rama advised them about the means and methods of administration of the empire; then he formally invested them with the insignia of imperium. He placed the son of Bharatha, Thaksha, over the Southern Kingdom; his second son, Pushkara, was given the Pushkara Kingdom. They destroyed the remnants of Rakshasas that were there and established themselves in those Kingdoms. The sons of Lakshmana, Chitrakethu and Chitrangada, were mighty warriors, heroic fighters, veterans of wars. They were deputed to the Western Region and destroying the Rakshasas there, they ruled over that area. Rama invested those two with regal authority over Cities with different names which became their capital cities. He also gave all the sons valuable advice on political and administrative matters. Kusa was installed in Ayodhya and so Lava was awarded the Northern Region, the treasure chest of riches. The City of Lavapura (modern Lahore) was fixed as his capital City. Rama gave away cows, lands, clothes and money to the fullest to each. Meanwhile, the news that Rama was contemplating return to his own place came to be known by the people of Ayodhya; they came in immense numbers to his presence and prayed that their requests be listened to. Their request was that they too be taken by Him to His divine Home. The Lord said that it was a right request and he agreed to do so. He was glad at their affection and the devotion and dedication they had towards their Lord. Lakshmana led them all. The Kishkindha Kingdom was allotted to Angada, Sugriva, Jambavantha, Vibhishana, Nala, Nela and other individuals embodying parts of Divinity, and billions of Vanaras come to fulfill the Divine Mission, came to the Presence of Rama at that time. Rama accosted them and said, "Vibhishana! You have to rule over Lanka; you will attain my Presence in the end"; He blessed him thus. Then, He turned to Jambavan, and told him, "Jambavan! Be on the earth till the end of the Dwapara age. Then, incarnated as Krishna, a fight with you will happen to me. You will then recognize me as now" [see S.B. 10.56]. He blessed him in that manner. Then he proceeded to the bank of the Sarayu river. Bharatha walked on the right side of Rama and Satrughna on his left. Behind him walked the ministers and the people of the city. As they entered the waters, Bharatha merged in the Lord; Satrughna touched the water and shone in the Lotus and merged in the Lord. The Lord uttered a Blessing that all who come to the Holy Land of Ayodhya and all who bathe in the sacred Sarayu can reach Him. O Rama! I am Yours, talk to me"
Only Rama's name is beneficial, thought of Rama is itself enough"